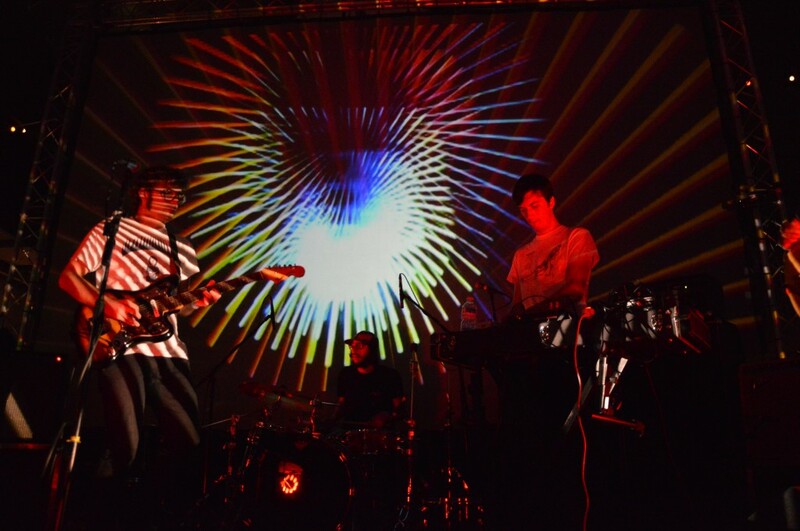 The Lay Llamas have been on my radar for a while, a superb live performance at the Liverpool PsychFest in 2014, and a great album, ‘Ostro’, for Rocket Recordings the same year which made our ‘Essential’ list. What I wasn’t aware of what that this had not been the band’s first release, having brought out a self-titled cassette only debut two years earlier; an album that is now getting a vinyl release (with an additional exclusive track) by Backwards. The opening track, ‘African Spacecraft (2092 AD: Lift-off, Journey and Landing) will be familiar to many as it appears on Rocket’s totally brilliant compilation ‘Crystallised’. For those who haven’t the clue really is in the title. This is a beautiful kosmische track but with African beats and rhythms. It is stripped back and full of space as we are taken on an exotic trip into a spiritually cosmic unknown. This vibe continues onto ‘Space Jungle Mantra’, the title of last year’s live album. Here the exploration is more planetary that spatial, this is a really minimal track that leaves a lot to the imagination of the listener for the first three minutes as you become accustomed to this beautiful and exotic sonic-scape. Then as the bass quietly slides in we find that some, but by no means all, of the emptiness is filled with fresh impetus. This is a really gentle, even fragile, track that requires really careful and close listening. Things change with ‘The Voice of the Big Snake (Wait and Learn)’ which begins with a gentle acoustic guitar and fills out with a vocal and strings all of which develop into a more conventional song. 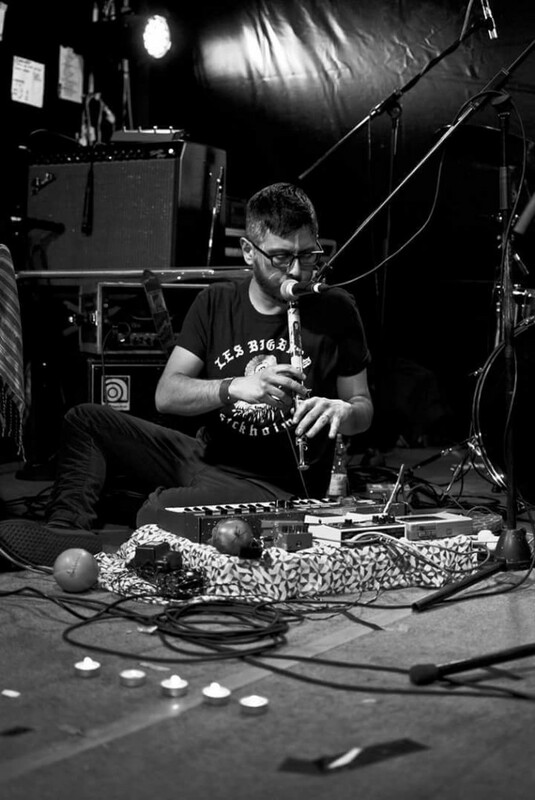 Gone are the elements of space and nature, but the sense of fragility and of spiritual awakening remains, and is something of a welcome interlude in an otherwise experimental set. The spiritual theme continues with ‘Rite of Passage’ as the track opens with heavily treated guitar and tribal drumming, all suggesting that we are entering into a sacred space. This is a track that always remains as if under some sort of fuzzy spell, never quite coming into focus…as if looking at really through a fractal lens. This for me is the most challenging track of the set, and there’s nothing wrong with that at all. Following that sensual bombardment it is something of a relief to return to the fragile emptiness of the space jungle with ‘Journey to Sekelesa’s Cosmic Mountain’. This somehow returns to earlier themes, especially within ‘Space Jungle Mantra’, and leaves the listener to reflect on life, death and the future existence of our planet. Apart from the disruption of ‘Rite of Passage’ (which is what rites of passage should be) this is a gentle, thought provoking and minimalist set of tracks that certainly fulfils the Lay Llamas vision to connect to places through space and time. It is an album that is stripped bare of the beats found on ‘Ostro’, but through listening to it I have come to understand ‘Ostro’ better…this feels like the ur-Ostro. ‘Lay Llamas’ is released by Backwards on 25th March in two limited editions: 100 copies on coloured (green) vinyl and 400 copies on standard black vinyl. See here for more details.